THE CHURCH OF England has defended a tweet it sent about Richard Dawkins after he suffered a stroke. The original tweet was sent on Friday and asked that people pray for the famous secularist. The message was retweeted more than 1,000 times and prompted speculation that it may have been an underhanded dig at Dawkins. The tweet was a prayer. Nothing controversial in that. In recent months a regular diet of prayer has been evident on the church’s twitter stream. It noted that it had also asked for prayers for the massacre in Paris in November, the flooding that hit the UK in December and January and in the lead up to the British Queen’s 90th Birthday. Commenting on the controversy that had arisen, the spokesperson said that it had come as a result of, “a misunderstanding of what prayer is, who does it and who it is for”. The medical incident caused Dawkins to pull out of a tour of Australia and New Zealand he had planned. Speaking yesterday, the 74-year-old said that he had spent four days in hospital, before being released on Tuesday of this week. He went on to thank the people around the world who had wished him well. 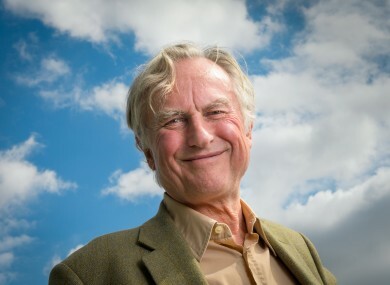 Email “Church of England defends tweet asking for prayers for Richard Dawkins following stroke ”. Feedback on “Church of England defends tweet asking for prayers for Richard Dawkins following stroke ”.